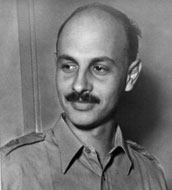 Yigael Yadin was a soldier in the Israeli army who rose to become Chief of Staff. He left the military at age 35 and devoted himself to archeology. He excavated some of the most important sites in the region, including Masada, the Qumran Caves in which the Dead Sea Scrolls were hidden, Hazor, Tel Megiddo, and Tel Gezer. Yigael Yadin is currently considered a "single author." If one or more works are by a distinct, homonymous authors, go ahead and split the author. Yigael Yadin is composed of 14 names. You can examine and separate out names.